One of the reasons I have not been blogging as much lately is because I have been busy knitting a scarf. A very, very, very, long scarf. 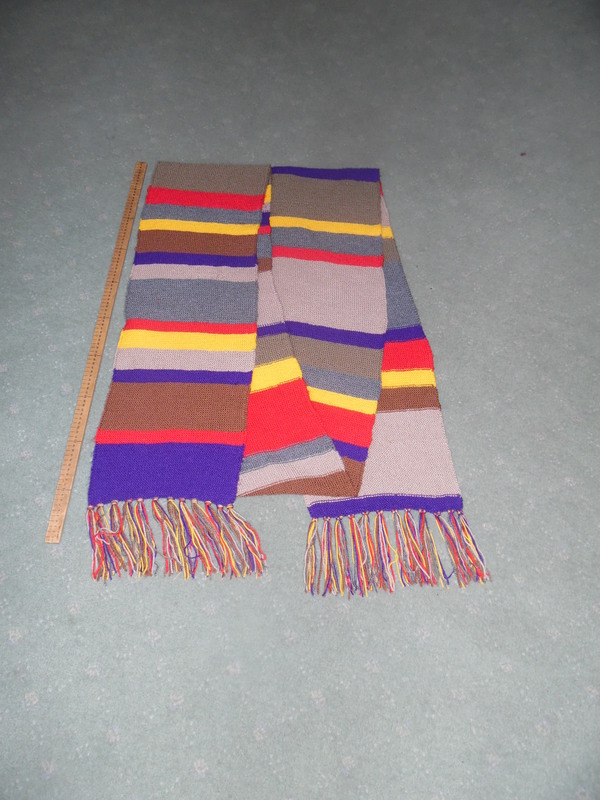 I’ve placed a one-metre ruler next to the scarf for comparison. Yes, the scarf is about four metres, or a bit over 12 feet, long. 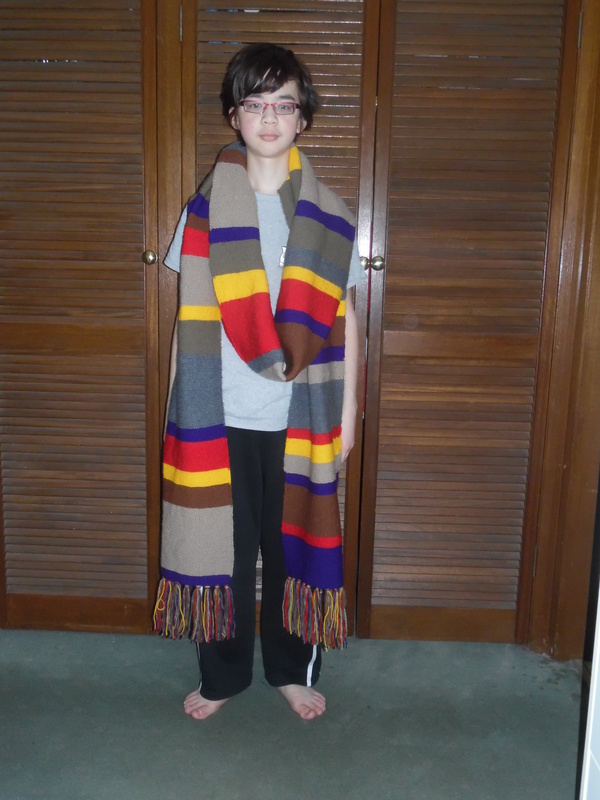 This is the Season 12 scarf. I got the pattern from here. I decided to go with the “inches” pattern rather than the “number of rows” pattern because I used 8-ply yarn (which is most typically found here) rather than worsted yarn. The colours were a bit of a challenge to find and match as closely as possible. Ah, well! 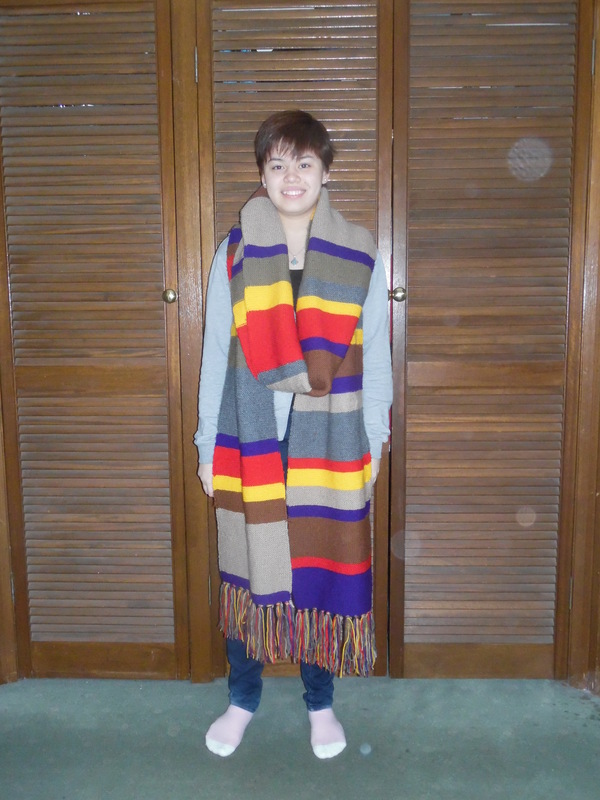 It is recognisable as a Doctor Who scarf and that is all that matters. I am a Malaysian-born woman who is married to an Australian and now live in Melbourne, Australia. I am a mother to four children. I home school. I like reading, writing, and cooking -- not necessarily in that order. I care about grammar and spelling, but am nonchalant about the Oxford Comma. I try to follow Christ's teachings. 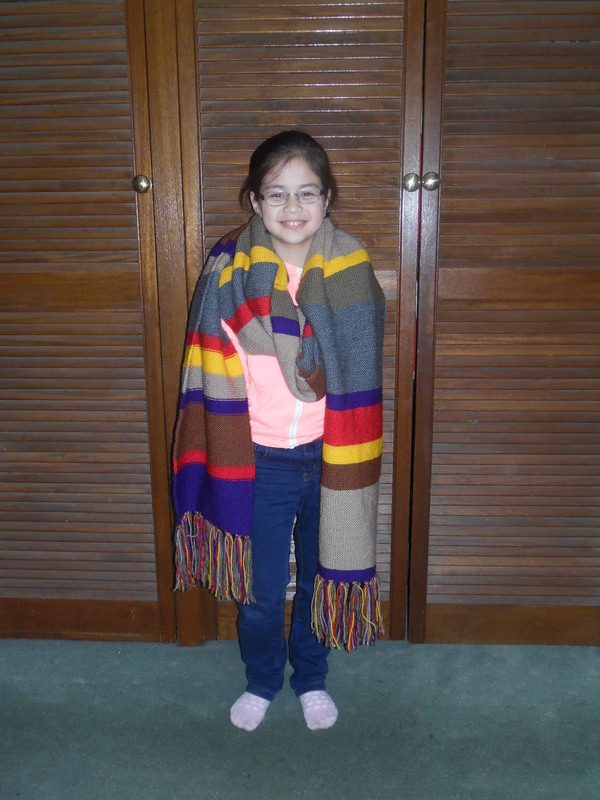 Posted on Tuesday, September 15th, 2015, in Fun, Knitting and tagged Doctor Who, Dr Who, Scarf. Bookmark the permalink. Leave a comment.